Hi guys, happy to be back to the Tango Dancers Blog and yesterday on July 9th I announced on FB my new project within the Tango Dancers Blog. "My First Tango" is a new series of 50 stories told by TANGO DANCERS on video about their early tango experience. See the details below. Make your story unique! Videos will be uploaded to the TANGO DANCERS Youtube channel. #myfirsttangostory We will try to publish interviews on a weekly basis, it also depends how many people will take part in the project and submit their stories. Do SUBSCRIBE, LIKE, COMMENT and SHARE the videos!! Look forward as well to hearing about your stories from you. The goal of the project is to HAVE FUN sharing these stories and connect to each other and also to raise awareness about Argentine Tango in a creative way and encourage people to give a try to this beautiful dance or at least to learn about traditional tango music and artists, performers, instructors :). Right now we are inviting to collaborate on this project all instructors & dancers with 5+ years of experience to share their fun / interesting / unusual story from their first class or milonga or EARLY TANGO EXPERIENCE. It would be also great to hear from people who live in different parts of the world which will allow us to know more about tango and dancers in other places. And below is the first story :). Big hugs to SIERRA who agreed to share her story with us. She is not only an amazing tango dancer but also a very inspiring African style dancer / instructor and a great person. P.S. I will try to record soon a video with tips on how to take a video or yourself for this project. *** I am also looking for a special effects artist who can help to create an intro & outro for this project and blog. Contact me to collaborate. Photography © Anna Agurina, Dasha MasLove, Olivier Normandin, Yulia Zlobina, Alexander Putilin. Big thanks to all the photographers, who allowed to use their pictures in this publication!
" ... One day I realized that my life just didn't make sense without some aspect of personal creativity." 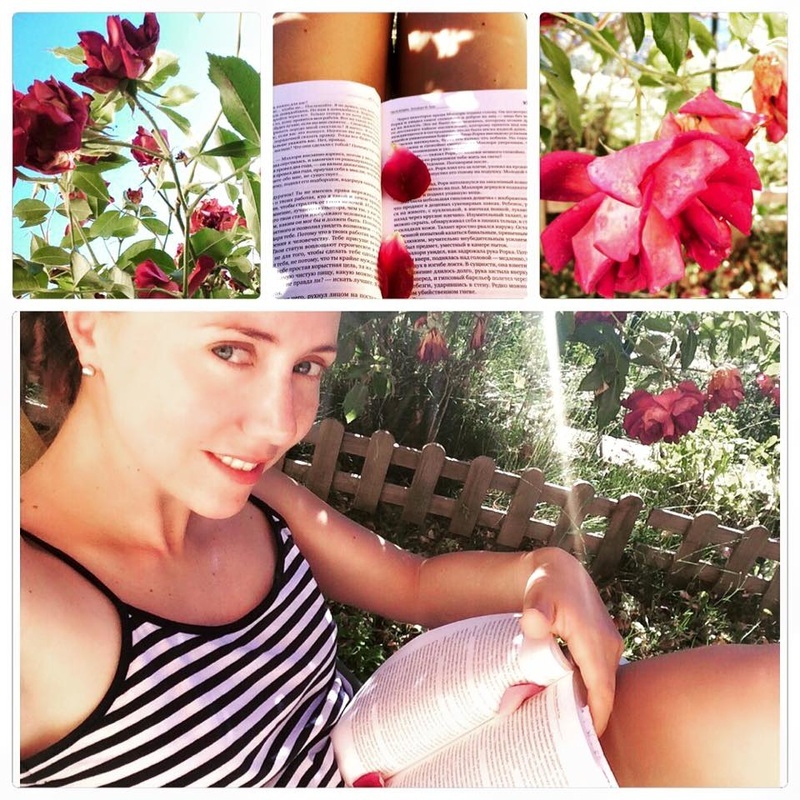 Long ago in Russia I met an interesting girl named Anna, she had a totally different life then, however there was something dynamic, decisive about, and creative in her personality and it made me curious to see where life would actually take her. 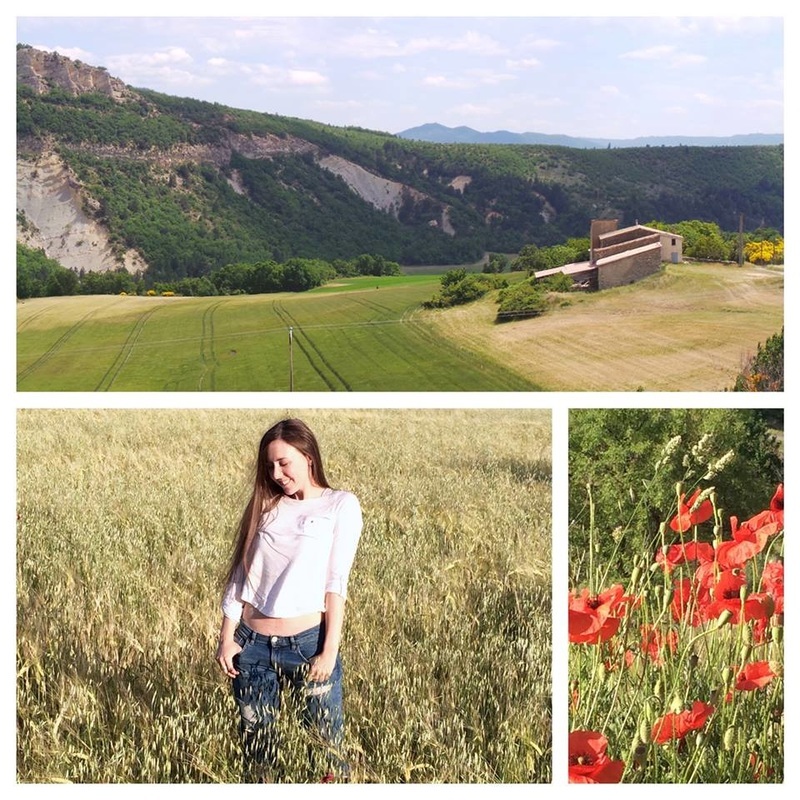 A few years later, we found out that Anna had moved to beautiful France to study perfumery, and now many of her Facebook friends enjoy picturesque views of France and close-ups of nature, as well as unique eye-catching collages - all created with a feeling of love for life, friends, aromas, nature and colors. Here is a story of a young beautiful woman, a true artist at heart who is in love with her fascinating profession - perfumer. Q1: Anna, tell us please, when did you first pay attention to perfumes and what fragrance it was? We are all surrounded by a multitude of fragrances and smells from birth, and our olfactory senses play a crucial role in our discovery of the world. A perfumer hones these instincts and is constantly alert to ambient smells, ever ready to analyze and divine their source. Fragrance becomes an integral part of our everyday consciousness. I’ve loved perfumes from my childhood, but only began to study them seriously at perfumery school in Grasse (France). I remember the perfume that most astounded me was Vetiver Tonka Hermessance by Hermes I still love it. Q2: Were you always interested in creating perfumes or did it happen unexpectedly? And what was the inspiration? 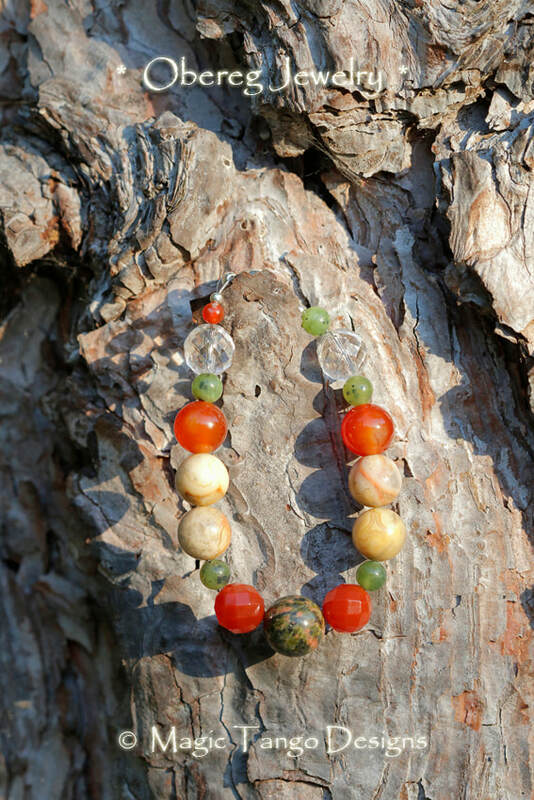 After high school I had to decide what to do with myself, and which occupation to choose, at the time I didn’t know a lot about myself, but I was sure I wanted to do something useful, and be able to work with my hands and see my creations. So I decided to study chemistry. As fate would have it I never did actually work as a chemist. After college I became a brand manager of Nina Ricci and Prada perfumes, but always kept to this idea to develop my own creations. And indeed, one day I realized that my life just didn’t make sense without some aspect of personal creativity. As I had been passionate about perfumes for years, I left my job and applied to perfumery school in France. Q3: It seems quite a lot of effort to immigrate to France, would you mind sharing how easy it was for you and what was helpful in that process? Well, the most difficult part was getting accepted to a perfumery school. They only accept ten to twenty students per year, depending on the school. You have to be among the best candidates, pass difficult exams, and also demonstrate the depth of your motivation. In 2012 the competition was fierce - thirty people competing for just one place. Once you’ve been accepted you just need to apply for a student visa and arrange finances. Life is France is extremely expensive. 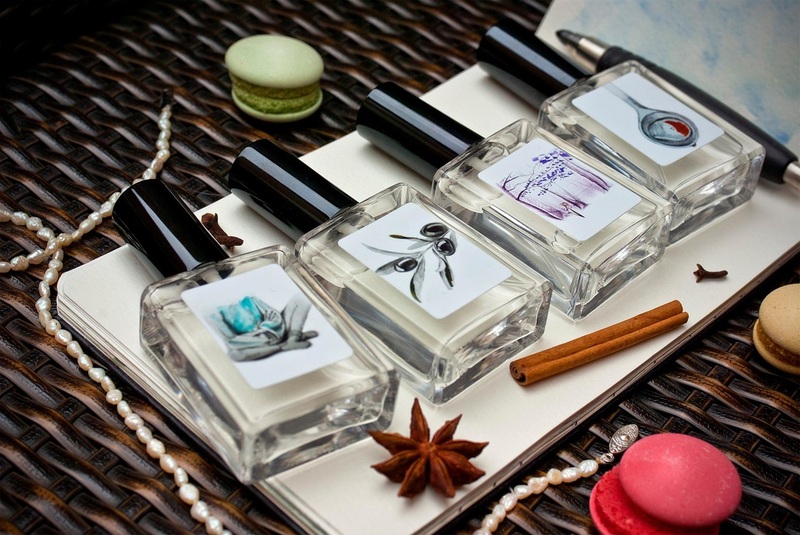 Q4: By the way, is there a big choice of schools out there for those who want to study to become a perfumer? There are two main schools: ISIPCA in Versailles and GIP in Grasse. Both are in France. I studied at GIP. Q5: How was the experience of studying in France? What subjects do prospective perfumers need to study and how long was the course? It was a wonderful time. I loved that feeling of going back to school and turning over a new page. We were an international group of many different ages and our comraderie really enriched the experience we shared. It only takes one year to complete the coursework, but of course you also need to already have a degree in chemistry or biology or pharmaceutics. My Master’s Degree in chemistry definitely played an important role in my success. I must say it was rather strange to find myself living in a dormitory! I would spend twelve hours a day at perfumery school, and then see the same people again in the evening and on weekends. But we became fast friends and still keep in contact. Q6: Have you always had a sharp sense of smell or did it develop along the way? What can help people to develop their sense of smell? Let’s say I was sensitive and receptive from the beginning. The ability to identify fragrances comes from the training. You have to do thousands of repetitions to create your own olfactory associations and work to maintain it and continue to smell ingredients your whole life. From my point of view, anyone can do it. It’s just a matter of motivation and patience. So the sense of smell actually can be developed through life, unlike eyesight and hearing which tend to deteriorate with years. Q7: Is there anything special you have to do to take care of your sense of smell and health to keep that "instrument" tuned up and sharp enough to work with it? People use coffee beans in the perfume shops. What is a good way to choose a perfume from the store? Perfumers must never smoke or eat menthol candies and very spicy food. I’ve heard it said that perfumers cannot drink alcohol or swim in a swimming pool. I don’t find this to be true. Concerning a coffee beans, we never use them, because of their overpowering smell . If your senses detect something as strong as coffee you won’t be able to distinguish a delicate perfume afterward. When perfumer’s nose becomes saturated by fragrances the best thing to do is to go to the fresh air. Q8: We see a lot of beautiful pictures of you in fields of flowers. Thank you for sharing those with us! :) ... How often do you have a chance to visit such places and how much of the work you do these days in the lab? I take every chance I get to get outside. Nature is one of the main inspirations for a perfumer. And besides, I love France! It’s so awesome! You can find everything here: fields, mountains, the sea, even deserts, and forests. They all have their own smells and lovely spectrum of color. I’m always full of impressions and emotions after these kinds of excursions, and am ready to spend countless hours working in my lab. Q9: Now let's talk about your favorite aromas. Which ones you are you most attached to? I cannot attach myself to just one, just as I cannot choose my one favorite color. Actually, a perfumer should love all aromas, because there are no bad ones or goods ones, per se. Nevertheless I love woody notes and incense. My favourite perfume is ﻿Feminite du Bois. Q10: How long does a flower retain its fragrance when it is taken from its natural setting? The intensity of the smell depends on the climate and time of day. There is one French perfume, which is called L’Heure Blue by Guerlain. It was created 100 years ago. It’s meant to recreate the conditions at about 8 p.m., when the sun slowly sets, and the light becomes muted and blue. At this moment plants emit their strongest aroma. This perfume is dedicated to this particular wonder of nature. Amazing fact: did you know that a perfumer can memorize about 260 aromas on average, they form his or her basic palette. Potentially it can be extended up to 500+ aromas. The video tells about types of perfumes in terms of durability and how to use apply them. Q11: Is it hard to combine a lot of aromas? What is considered an average acceptable amount, if there is such a thing? I prefer to create short and clear formulas. Otherwise it will be a soup or aromatherapy. And from my point of view every blend is a challenge. Most of my formulas contain about 20-30 raw materials, but actually it’s possible to create a wonderful perfume using only 10-15 ingredients. My favorite perfumer Jean Claude Ellena (Hermes) is a master of short formulas. When we sense an aroma, it creates an instant reaction in the brain of a person. The part of our brain which is in charge of it is called limbic system. It is responsible for feelings and emotions. That's why aromas (scents) can trigger an instant emotional response. Q12: Who were the most famous perfumers which influenced this art? Who would you say influenced you most personally? Have you ever had a chance to work or intern with any renowned perfumers, and if so, how was that experience? There are many celebrities in the field, but I would like to mention Edmond Roudnitska, who created some of the best 20th-century perfumes, "Diorissimo" by Dior and "Eau Sauvage". Not long ago his son launched one of his father’s perfumes called “Le Parfum de Therese”, dedicated to his wife. You can find it in the Frederic Malle perfume collection. Edmond Roudnitska was a teacher of Jean Claude Ella, whose works had a huge influence on me. I like his ideas and how they are realized through the perfumes. I can recommend his book “The Alchemy of Scent”. Q13: Many people notice that different perfumes might "sound" in a new way on various people. Right? People usually have a born feeling of what might sound best on their skin. For example, people with darker skin tones (no matter what area they live in) would prefer balsamic sweeter scents. Interestingly, on their skin they become less sweet. Whereas on people with a light skin tone such scents would acquire a intense sour note. So on each person an aroma be revealed in a different way. It is connected to the fact that there are many different microorganisms and bacteria on the skin of each person. Also pH-level differs from a person to person. Those two facts are enough to make the scent sound differently. Q14: What can be challenging in a perfumer’s work, and what makes you happy? What can you learn from your clients? I like all parts of my work. It starts from an idea and ends with the packaging design. But the sacred moment when the perfume is finished and the client likes it. I love to create bespoke fragrances with people because there no limits, and untrained people don’t know the established “perfumery rules”. Some of my clients and I have created some awesome perfumes, that I would never otherwise made myself. One lady mixed earthy humid patchouli with a funny peach and created a beautiful fragrance. Another young man blended fresh lavender together with sweet raspberry. The combination was surprisingly good. Q15: You've been also offering some workshops. Can you tell us about your teaching experience? I teach because I think it’s important to share knowledge. Perfumery remains a mystery because we don’t really know so much about it. Have you noticed that even perfume ads never speak about the quality of a perfume and or about the ingredients (usually it’s the image of a lady with some nice music in the background)? 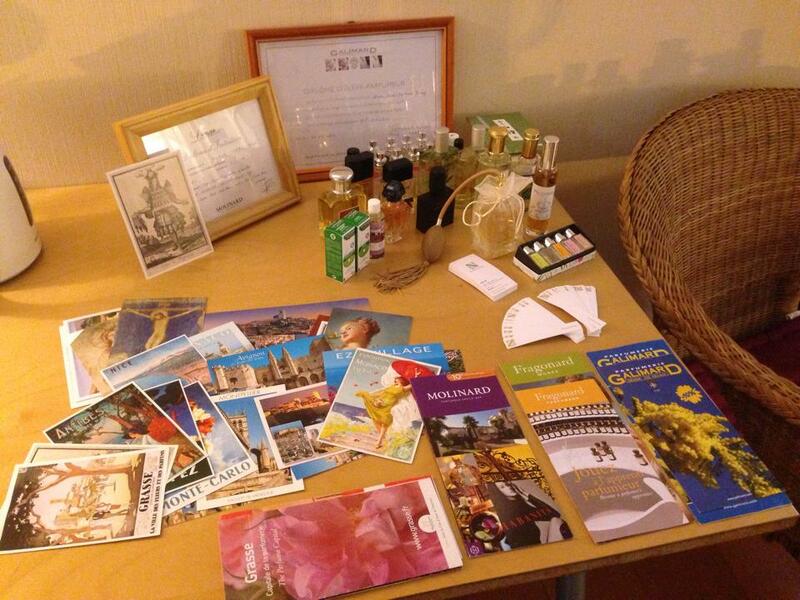 I want to make perfumery more popular, so I teach. 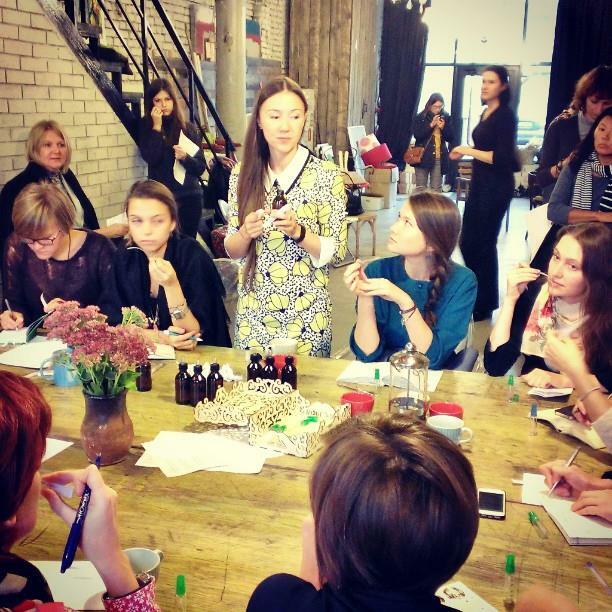 During my seminars I tell stories about perfume ingredients, I distribute raw materials to sample and smell, and I let the participants create their own blend. Q16: If someone would like to create a special perfume for them, how much would it cost to hire you to help design it? Do you have a website telling about your services? If a client works together with me it will take around 2 hours to create one perfume, and my fee is 300 euros. I’m working now on a project of bespoke fragrance studio in Moscow. This workshop was launched in the summer. And I would visit Canada with pleasure as well to teach that workshop. You can contact Tatiana and pre-register for the workshop if you are interested. Once there is interest it can be arranged. Q17: If you were to create your own school for perfumers what would you be sure to include? Actually, I plan on doing this very soon. My perfumery school authorized me as a qualified professional trainer a few months ago, so I’m presently working on a project of opening a branch office of GIP in Moscow. The opening will be on November 16th. Stay tuned! Q18: Speaking about aroma therapy, do you believe in it and have you ever tried to apply it? Yes, of course I believe in it. Fragrances have a huge influence on our minds, and our minds undoubtedly have a huge influence on our bodies. I’m working now on an interesting project: the creation of an “emotional trigger scent” which will stimulate our brains when we need help. I’m even considering developing this as a PhD topic. Q19: If you were to choose one aroma (smell, fragrance) to sense if all others fail what would it be? Q20: Is there any dream you would like to come true in connection to perfumes and your job? My dream is to become more and more experienced every year. To become a master perfumer you need about 30 working years. I’m just on the beginning on this path. Don’t be shy about using perfumes on the milongas. They help you feel more self-confident and to better express your unique personality. Q22: ... What is photography to you? One of my friends once said: “Anna, you are visually smart.” I suppose it’s true. So I take pictures to show how beautiful our world is. I don’t master any photography technique, but I feel the colors and composition. T: Thank you, Anna! It was very interesting to get to know you better and listen to your stories. And who knows, maybe thanks to you some day my dream to create a few aromas will come true ;). - Color: if I had to choose only one I'd prefer white. ​- What film(s) would you recommend watching? Any film about France, they are all fascinating. - Who would you like to say “thank you” to? To you! Thanks for your questions and initiative. We are happy to open a series of interviews about Tango Dancers who have succeeded in another (interesting) occupation apart from their tango life, hope you will enjoy meeting them! Photography © Subbusclicks, Getty Images, Adrian Roup, Laura Mingo, Comsa Adina, Andrei Dragon. Q 1: Hi Marianella, tell us please a little bit about yourself. Where were you born and what kind of family you had? My dad was a professional cyclist, as well as a coach. So I come from a very active family. I spent the first years of my life watching road cyclist’s trainings and races. Q 2: What kind of training did you have? I started rhythmic gymnastics at a very early age (3 years old!). Can you tell us a little bit about what is it like to grow up in the environment of rhythmic gymnastics? I know that little girls in Russia who are getting training in gymnastics and ballet usually are treated quite harshly, even though it does help to achieve a lot. What were the highlights and struggles of that time for you personally? The coaches I had through my life were all from the Soviet Union. I would lie if I were to say the training was easy and painless. A day as a rhythmic gymnast mostly consists of stretching… for long long hours! The fun part was to practice the manipulation of each apparatus (ball, hoop, clubs, ribbon and rope) and create my own choreography. The highlights of that time were obviously when I got to win medals or when I was chosen to be part of the Elite team of Quebec. Q3: What was your most memorable moment of that time? I can never forget the first trip I made for a competition. Traveling around North America and missing school was awesome! But seriously, I consider myself very lucky that I got to discover the world at an early age. This made me so curious about other cultures and I believe it was the birth of my wanderlust! Q 4: When was the first time you heard about circus and went there? Do you remember your impressions? The only time I won tickets to assist a show in my life was as a child! I got to see a traditional circus show under a big top. I would say I was about 7 years old. My memories of that moment are very blurred, but I remember that I was intrigued and mesmerized by it. Being a child, it was like if I had an enigma to solve or a treasure to discover in that circus world. Q 5: When did you make a decision to be a circus artist? I believe circus chose me! I was determined to become an actress. I studied dramatic arts until the day a friend of mine asked me to attend the audition of the National Circus School of Montreal with her. When I received the news that I was accepted (as well as her) in the most prestigious circus school of the world, I knew that circus had chosen me. I soon realized that modern circus mixes dancing and acting and is the expression mode that matched me the most. Q 6: What companies have you worked for? I've been working for Cirque du Soleil for the past 3 years. Now performing in Las Vegas. Before that, I was touring the world with the show Cavalia. Since my graduation from circus school, I have been very blessed to experience all kinds of performances. I don’t have a favorite show, since every single one of them made me grow as an artist. In the equestrian show Cavalia, I got to dance and fly around horses, which made it for sure unforgettable. Afterwards, working with Cirque du Soleil, I got to work with incredibly talented artists and had the chance to understudy the main character in addition to my work as a dancer and aerialist. Q 8: Have you ever have a thought of giving it up or maybe faced choosing a different path? Q 9: If to speak about names of people in circus who are your “teachers/ mentors” and what were/are your inspirations? I was lucky to have a big team of coaches and artistic advisers supporting me at the circus school. But my inspiration to always move forward was my dad, who was an athlete himself. He always encouraged me to push my limits, especially in harsh times. Q 10: Is there anything in that career (sphere) which you would like to try, maybe challenge yourself more or just for fun? Eventually, I would enjoy flying on an aerial apparatus I have never worked on before. I would also love using my acting skills once more and work as a character in a show again. Q 11: Would you want your child (children) to belong to the circus life in some way? I would be glad and proud if they do anything they want… with passion and with love. Q 12: What do you think are the main myths about circus artists (circus)? People think we spend our entire day training! We do workout, but doing two shows a day keeps us pretty fit. Basically, trainings are for learning new tricks and prevention of injuries. Q 13: Now let’s talk about other sides of your life. When did Argentine tango come into your life? How long have you been dancing tango and what inspired you to try it? A friend of mine kept talking about tango, at the same time as I was searching for a dance to incorporate into my trapeze act as a student in circus school. I finally went to a trial class at a local tango school in Montreal. This was back in 2004. At the end of the class, the couple danced one tango. I couldn’t believe my eyes. This dance was improvised! I had to find the mysteries about this dance. I thought once I finished combining tango with my trapeze act, I would be done with tango! We are never done with tango! What fascinated me about this dance is that no matter how many classes I was taking or how often I would dance, I kept learning new skills all the time. To this day, I am captivated by tango and I keep practicing and taking classes, because I always see improvement in my dance! Q 14: How often do you dance tango usually? Is it mostly at bigger events or small milongas as well? What are you favorite places to dance at and why? I usually dance very often! Almost every night, depending the city I live in. I love to support small milongas. They are my favorite! Nowadays, performing circus arts ten times a week, I am not dancing as much. But I travel from time to time to dance at festivals. I was lucky to performed and teach this year in a beautiful tango festival in Cluj, Romania. My favorite place to dance would be La Viruta in Buenos Aires. Because it brings dancers of all ages and styles. It’s an after hour for tango dancers :). Q 15: What was the most unforgettable tango demo (performance) you’ve seen and where was it? I would say the first tango performance I have seen in Argentina. I was new to tango and saw the performance of Chico Frumboli and Juana Sepulveda. I had no idea it was possible to dance tango this way. Back then, I had only been to local milongas in my city. You can imagine the shock! Q 16: Anyone in particular who inspires you in tango? Geraldine Rojas, Graciela Gonzalez, Alejandra Mantiñan and many other! Q 17: What would you say to people who consider taking up circus arts as a career/ vocation? It is an incredible career. I got to work with such talented artists and was so inspired by my colleagues. Good question! I could write so much about this subject. Tango is a big community. There is lot’s of competition out there. To become a professional tango dancer and teacher requires hard work and real devotion. Q 19: Can you tell us about your plans for 2014-2015? I have quite a few dreams… But I’m not a big fan of planning. Q 20: If you could work on any project anywhere you want, what would it be? I would love to eventually be in a touring show again. - your favourite quotation about tango? "Tango que me hiciste mal y que, sin embargo, quiero"
- which animal would you like to be if you were an animal in your next life? A bird! No need of passport and planes. I could just go anywhere all the time. - what place would you live if you could live anywhere? Anywhere I could have all my loved ones together. - Your motto: Make of your life a dream, and of a dream, a reality. Thank you, Marianella! Good luck with everything! Re: Interviews - Feedback is Very Welcome! An update on the blog posts (call for likes :): the hosting company of the website made some changes to their system and ALL likes were lost from the posts of their blogs :((. Thank you for your previous feedback! We really appreciated it and are sorry to lose them! There were about 45-90 likes on the interviews, which was great and an honor! *** If you feel like supporting us and "liking" the published interviews one more time on this website, we would appreciate, (there is no need to share it on FB if you don't want to, we just need to show to some potential funders of the film and project that the blog's posts have some audience and feedback/ *** You are ALWAYS WELCOME TO COMMENT or send us FEEDBACK through the contact form. If you would like to suggest a particular Dancer, DJ, Photographer or another artist for an interview, let us know! THANK YOU for your support & enjoy the upcoming interviews! "Diagnosis is not the end but the beginning of practice." Here is a chance to check this out! ... 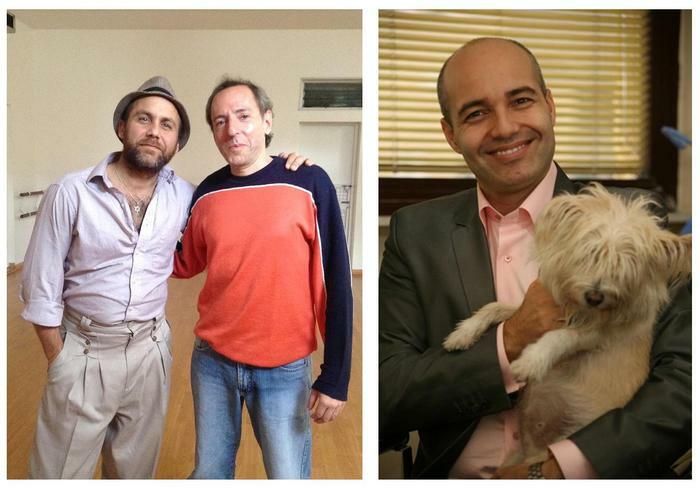 It's been over a year since I've heard from Oliver Kolker (one of my favorite tango instructors and dancers) that he started working on a feature project with Argentine tango. There was not much detail at that time available yet however my curiosity was already up high and it's exciting to get to know now that the movie "Glorias del Tango" will soon meet its audience. Filmmakers say that the film is born 3 times: once in the writer's head, then on the movie set, and later on the editing table. I'd add as well that the film's journey starts a new important turn when it's being released. Distribution is a huge part of the pre- and post-production and often filmmakers have to think about the ways to distribute the film way before the film is being shot even. For an outsider (an average viewer) making movies might look glamorous and fun. Those who are connected with filmmaking or have ever been on the set probably know that it's enormous work of a crew of 10-1000+ people and like a huge spaceship which one has to take care about and monitor every small thing. We would like to thank you Oliver for taking time during these busy days to answer the questions for the TDBlog! There is one more big step to make the movie a success, please, dear TDBlog readers, enjoy the interview and feel free to read more information on the links in the interview. 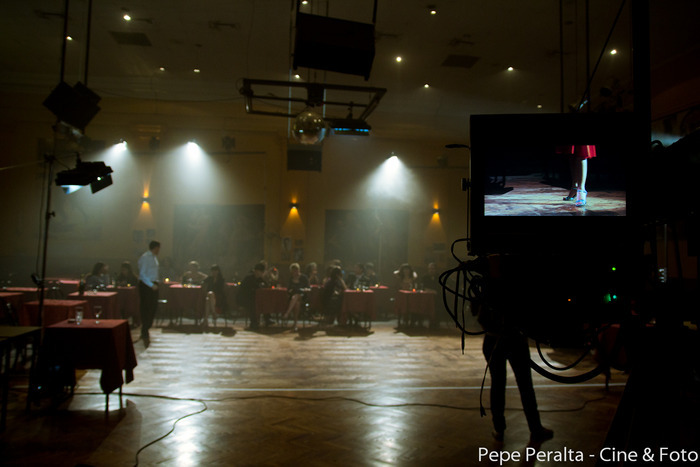 Let's welcome a new film with Argentine tango into the world. Q1: First of all, Oliver, tell us, please, how it all started. Have you been connected to cinema and filmmaking before? How did you get the idea of the film? Well I studied drama in Argentina for many years, since 1995. I’ve done several commercials, TV and Print (MARTINI/BACCARDI) among them. After that MARTINI commercial I was able to buy my first car! Jajajajajaja. Since then I’ve done acted in three movies, two in which I’ve played the leading role and the third one I played a cowboy. Great experience. I attended film school for in 2001, but I left because the way they taught didn’t stimulate me. 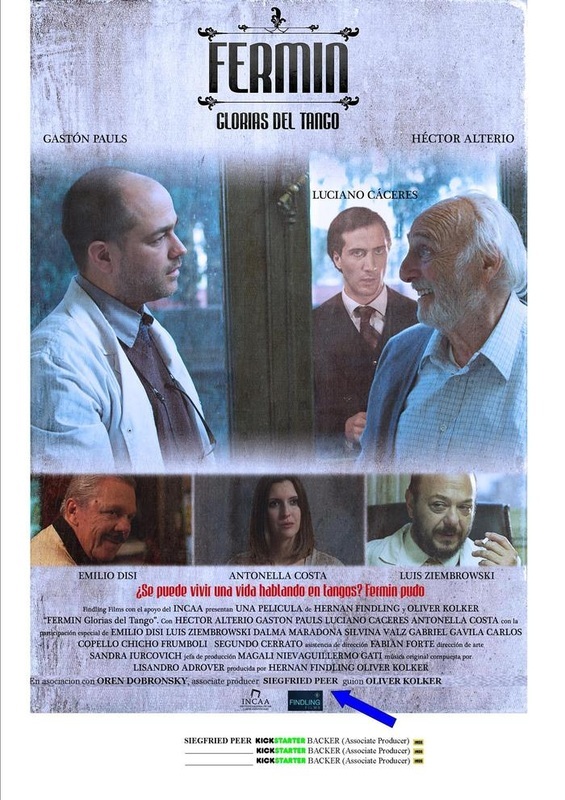 LogLine: Ezequiel Kaufman, an enthusiastic psychiatrist, in BsAs struggles to resolve the mystery of a patient's unique disorder: Fermin only speaks in tango lyrics; the treatment will take both on a healing journey of friendship, love, and forgiveness. 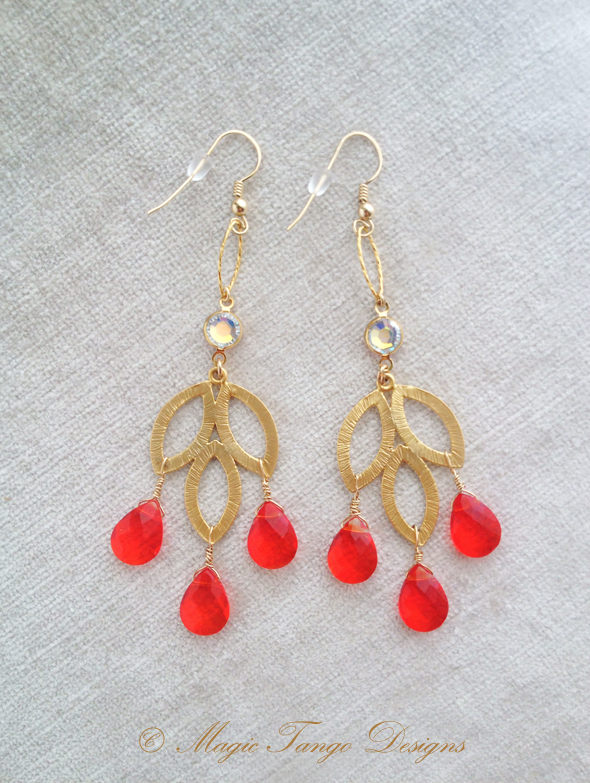 The idea for “ Glorias del Tango” came when I was in NYC in 2005. The Tango Nuevo movement was just starting to become a big thing. For me, having leaved in Argentina for practically my whole life, this new movement was a surprise, since I had never heard the term Tango Nuevo. For me Tango was only one thing. Then I realized by working and living in NYC and traveling around the US, that a lot of people loved to dance, they movement, the playful possibilities of combining different elements that Tango had to offer such as, Sacadas, Ganchos, Lapices, Volcadas, Enroques etc… but also many DID NOT connect with the music, in fact I heard a couple of times people saying “I can’t stand Tango Music, but I love the dance." Many people enjoyed dancing Tango steps to other music; dancing to Janis Joplin, The Beatles, you name it. Was this wrong? Not at all, but in the beginning I have to admit I was a little shocked but I also understood that people weren’t disrespecting the dance at all, they simply did not connect with its music. Their roots where different. So instead of writing a blog about it, I thought: Tango is such a deep and vast art form, a popular expression that has independently basically developed in four branches; MUSIC, DANCE, SINGING and POETRY, we can even speak in Tango lyrics! and that was it. We have to understand that tango talks about, Love, Friendship, Parents, Jail, Jobs, Romance, Betrayal, Food, Advice etc… life itself. Q2: Was it hard to find a crew or you already knew who u want to work with?.. Can you tell us a little bit about the leading actors. Yes, and NO. Hernan Findling my co-producer has been in Argentinean movie business the same amount of time I’ve been involved in Tango almost 16 years. I was shooting a movie for the US market in Argentina and he was the director. I approached him and pitch my idea. I said I was writing a script and he told me: "When you finish, you must register your work, the I’ll read it and if I like it I’ll produce it". So that was that. I offered for him to Co-Direct it with me. He took care of everything, finding the crew, getting the permits, doing the paperwork. He also helped with getting financing for the project from, INCAA, the National Institute that finances movie projects in Argentina. To access this grant you must compete and submit your work to be approved by a committee. The funny thing is that at the first submission I was rejected. This was in 2010, so I had to re write and finally I was approved in July 2012 after my friend Lynn helped me re write it. Q3: Is the script yours? Did have study how to write screenplays or just went with intuition? 100% of the script is mine. The whole thing stems from my imagination. This was so difficult. I had the idea in my mind but I didn’t know how to write a script. The first thing I did was study script writing. For almost 7 months, I read and read and read everything I could get my hands on. I had graduated with a Business Administration degree, but after having read all these books on script writing, I thought, “Why had I wasted my university years studying business”. Everything I was reading concerning movies and script writing was so much fun and easier to understand. All those hours of TV that I watched when I was a kid (my parents used to be mad at me for this) made so much sense. So I wrote the first scene and showed to Silvina (Valz) and she said: I LOVE IT, KEEP GOING… So that was it. They key thing also was that I did not pressure myself at all, if I felt like writing I did, and sometimes I spent three months without writing. I could afford to do this because writing was not my prime source of income. Silvina was a big help in my being able to accomplish my goals. Some of the scenes were actually written by Silvina. When the script was rejected the first time, I went to a script doctor who helped me rewrite some scenes. Q4: When the production was started and what kind of funding it was? We had 3 weeks of Pre Production, 5 weeks of Production (SHOOTING) and we will have between 2 and 3 months of Post Production. Today we are still at the post production stage. Funds came from INCAA and from private investors. Oren Dobronsky is one of the investors in this project and his help, vision and trust has been huge. We are in the middle of a Kickstarter Campaign in order to raise some extra cash to help with the post production and the Argentine theatrical release . So far we are doing amazingly well. Our goal is $50,000 and so far we have raised around $45,500 and we still have 5 days to go. 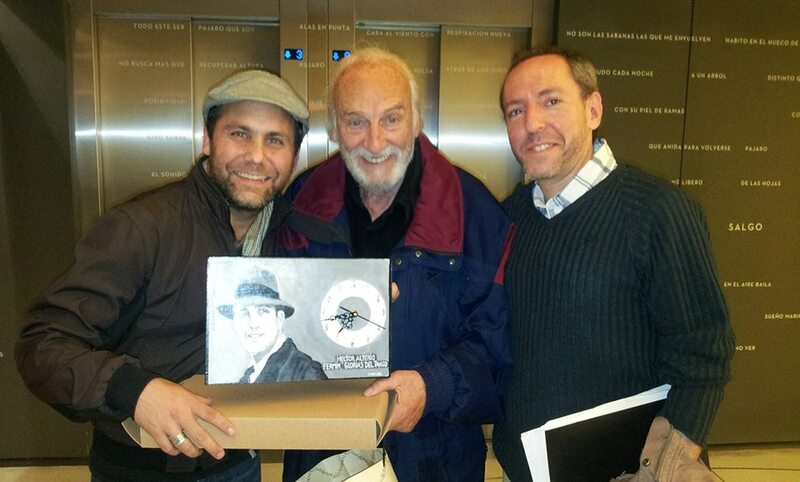 The international Tango community has been a TREMENDOUS help . It’s amazing how much love and support they have shown us. Q5: Which language will the film, Spanish? Q6: What is the message of the film? What would you and your colleagues like viewers to take away? That is great question, I did not write the story to send a message or a statement. Basically I wanted to to take the Tango Art form to another level by telling a story of Drama and Romance within the elements of Tango. I can’t wait to see Silvina Valz in the film for example. You know, that special feeling when you see someone you know on TV or in the movie :). We’ ll have to wait and see. You have to understand we’re aiming at NON Tango people to enjoy the film. Q8: What is your distribution plan in brief, how people will be able to see the movie? Will it be submitted to the festivals first? Yes. We are in talks with major distributors in Argentina and so far we have been invited to participate in the prestigious Mar del Plata Film Festival, which is the only Class “A” Festival in Latin America. We believe film festivals are key to distributing the movie. Sundance is a big goal in our distribution plan; not easy but not Impossible. Q10: When you worked hard on the project, did you still have energy for dancing and teaching? Yes of course I go dancing 3 times a week. I am not teaching right now. T: Ok, thank you! Good luck with the project! I am proud to be among the backers! 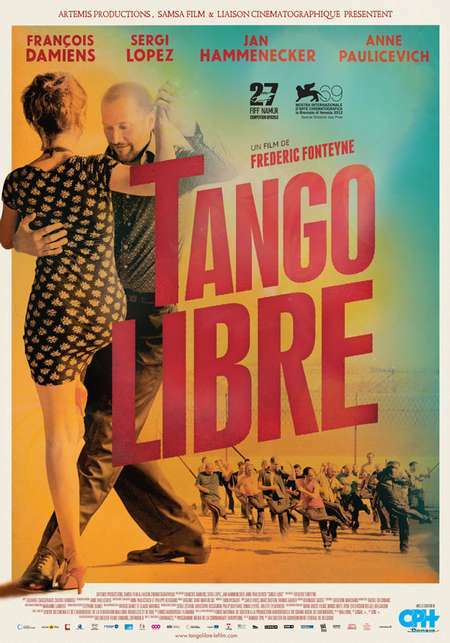 :) Can't wait to see the movie and hope it will have a great success at the festivals and among tango and non-tango people. Note / September 2th, 2013 - Thanks to the support of many contributors including tango dancers, the crowdfunding campaign for the project "Glorias Del Tango" has successfully reached their goal in time! Which proves the power of filmmakers and those who love them and the movies! :) THANK YOU EVERYONE!!! There are a few popular brands which most people have tried and many have come to come. Comme il Faut is for sure one of them. Enjoy this nice short documentary from Cool Hunting. Cool Hunting Video Presents: Comme il Faut from Cool Hunting on Vimeo. Today I am glad to talk to a talented photographer from Russia - Alexander Zabara. When I was a child I did not take any pictures, got my first still camera after I came back from the army. It happened by chance and the story (“destiny”) of that camera was kind of complex. It was a cult camera Lomo-CA, it had a long history of being passed from hands to hands and I can only guess what it had seen before it got into my hands. I took a lot of pictures on it and it is still on my desk. The first subjects of inspiration were the city and nature. Actually, those two themes I’ve been shooting all my life. As far as tango photography goes, I came to that reflecting on the city as a live organism. Also, it was the tango-project which pushed me towards my new project “Free Forest” which I’ve been working on during last years. Q 2: Did you have any training in photography or mostly learned through practice? What helped you to develop your photographic style and how can you define it? It was way later after I had got my first photo camera when I decided to take up photography more seriously. After finishing art school and working in design area I took a professional course at the Moscow Academy of Photography. That education gave me a strong motivation in creativity. Of course, it’s not just through education but rather through trial-and-error learning that you can develop a vision, find subjects, plots and the way material can be presented. Practice forms you as an artist... As far as my own photography style goes, I find it a bit strange to talk about that, especially keeping in mind that I am shooting so diverse projects. My tango-project was just one of them. I do what I do. If someone is eager to give it a name, I don’t mind. Q 3: Who are your favorite photographers? (in general and also the ones who take pictures of dance and tango?) Are there any other artists that influenced your vision? There are three photographers who each at their own time influenced how I see the world: Henri Cartier-Bresson, Alex Webb and Gueorgui Pinkhassov. Also some particular paintings, especially by French impressionists and William Turner had a big impact on me. Creative works of those who take pictures with tango did not really influence me. Q 4: What are your favorite genres in photography? I’ve been always fond of and have respected what Magnum Photos photographers are doing, especially their genre and reportage photography. As for me I value much more what you can see and find rather than what you can make-up and design in photography. Well, what IS contemporary photography? It’s what all photographers on earth are doing in the present time… Who would dare to comment on and evaluate such a variety? … Can’t say that I am keeping a close eye on current trends in photography. Naturally, I follow the news, and come across some pictures from time to time. The place, where photography is now, where we have instagram, social networks, that lightness of taking a “snap”, actually results in depreciation of photography as such. Contemporary means of communication give photography a role of meaningless paillettes which fly down through the garbage chute. And such tendency is seen in many works shown at miscellaneous competitions, presented at exhibitions of contemporary photography. Photo images of many renowned artists, including those who take prizes, are often very emasculated (“over-refined”) works, which have only consuming everything emptiness behind their effective façade. I don’t think that there are worse photography works or authors, I’ve seen that in many talented photo works that emerging photographers are doing and many renowned masters. However if you ask me about the tendency – it’s like that. That’s why to me personally it does not matter much how exactly the picture was taken, in which genre, whether it’s effective (impressive) in its look or not, how it was edited. What is important to me first of all is what it represents, what stands BEHIND the photo image and photographer. Q 6: Do you like working in projects or prefer shoot by shoot (a variety of genres)? Sometime I take one shot after another and feel that there is something uniting them, then through years of work they get assembled into a common picture like a mosaic. At other times I have a particular vision on a notion or event, and in that case I am looking for a visual language trying to take pictures in various genres. - you have some great non-tango reportage pictures, for example the militia people on the Red Square and others… Did you do them spontaneously or was it an assignment / part of some project? The pictures you mentioned, as well as tango photography, and other projects devoted to hip-hop culture and rock dance – all those series are like pieces of mosaic to me. They gradually help me build the picture of the city, the way I feel it. Q 7: Do you ever take part in photo competitions? What is your attitude towards competitions? Yes, when I studied photography I took part in competitions a couple of times. That helped me to realize their uselessness and I stopped applying. I am not competing with anyone and I am not a swimmer or runner. Photo competitions is for me as absurd as tango competitions. Q 8: Can you tell a bit more about the impressionistic series which you made? (the one you have on the English version of your website). This project is the most important and most personal to me. I’ve been working on it for 6 years already. It started spontaneously, there were a few shots which kind of appeared as answers to the questions I asked to the world around. I am just taking part in creating those images and very glad to feel that relation, connection. I bring those images from various parts of the world – Portugal, Carelia, from Altai mountains and Nepal, from Brittany and Crimea, and many many others. The world is much bigger than what we can see. All the world’s harmony is in each of us, in each tree and each stone. I am happy that working on those images helps me not only feel all that but even also share with others. - There was one other video clip with a psychodelic feel “The Bulgarian Voices Angelite – Wave”, can you tell something about this slide show? This video clip was part of the monochrome series “Gwenn ha Du”. It differs a lot from other forest images and was mostly shot in Celtic places in Brittany. The clip is fully painted, it is not photography. Hundreds of pictures were painted and assembled into a video. This project is personal and not done on request. Not sure if musicians are aware of that video or not, I did spoke to one of the musicians of “Huun-Huur-Tu” and he did not mind me doing it. That series was a very difficult project for me, the idea had been growing inside me for a long time and later after I created the photo series, I felt something still remained untold. So I added this video to the project. That composition for me is an audio reincarnation of what I felt in those places. Q 9: A while ago on your website I’ve seen a few experimental pictures done by your daughter. Can you tell us a few words about those images? These pictures look the way they were painted actually, no editing in photoshop was involved. I put my daughter at desk and gave her a plane table (she was 8 years old at that time), put some music and suggested that she can paint something. She was dragging the brush around spontaneously and I would change the music and save the result discreetly. We repeated that experience a few times however as soon as spontaneity was gone these images disappeared and ordinary children’s pictures appeared – grass, butterflies, horses. For me personally it was an important confirmation that the way I chose for my personal spontaneous projects was the right direction. Q 10: What do you think can help a beginner photographer to develop and find his/her personal style? Don’t know really, I’ve never tried to develop my style. I think that if a photographer has something to say and if he/she is trying to speak with images honestly without copying others – that can be his/her own unique style. Q 11: What equipment are you using (if you don’t mind sharing that information) and what are your favorite lenses? Do you prefer working with natural light or enjoy using studio / on-location lighting as well? Depending on the project I use different lighting. I used to use Canon DSLRs for taking pictures with tango (have changed a few cameras throughout years), wide angle lenses, always working with available light. For street dance shoots direct flash light always comes in handy. Free forest project was shot with a variety of lenses including monocle and pinhole ones. During the last years, I have been shooting on mirrorless cameras by Fujifilm gradually letting go of DSLRs when doing urban photography. Q 12: Is photography your main occupation or do you specialize in something else as well? Apart from working as a professional photographer, I teach at the Moscow Academy of Photography where used to study myself. My course is devoted to digital manipulation (editing) of photo images, and for the last 9 years it has helped photographers learn how to edit photo shoots efficiently, arrange and optimize the workflow. Q 13: What are you doing in free time? Any hobbies? I try to spend time in the nature, I am fond of mountain and forest tracking. I read, listen to the music, go to the lectures on history of culture and art. However, photography is still my main hobby. Q 14: - When did Argentine tango came into your life? How long have you been dancing tango and what inspired you to try it? When was the first time you realized that this dance can be something special for you (started enjoying tango :)? I discovered tango in 2004 thanks to a friend of mine, also a photographer, who used to dance tango. I once saw a few couples circling around the embankment of Moscow river under the sunset light, and fell in love with that dance at first sight. Tango strongly influenced my life. It turned it around, opened new horizons and allowed to understand a lot about myself, people and the world around. I took a lot of classes, went to milongas and for two years dropped photography completely – tango was absolutely everything for me at that time. Then I tried to render the expressiveness of that dance in pictures, looking for various solutions to reflect what I feel in the dance. - Are you still dancing tango? Lately I’ve rarely been to milongas, and if I do go, I prefer taking pictures. Q 15: Is (was) it hard to combine taking pictures at tango events and dancing? How do you usually balance work and leisure? At some point I realized that it’s better to devote yourself to one thing. My inner photographer usually wins over the dancer in me. Q 16: What was the most unforgettable tango you experienced and where was it? It’s too personal to speak about it :). Q 17: What would you recommend aspiring photographers? Listen to yourself and look at the world around. Q 18: Is there any photographer you would like to learn from (intern with)? People who I would like to learn from are not photographers. Q 19: What are your favorite pictures of your own work? The one that is not taken yet. Q 20: your plans for 2013?... If you could work on any project anywhere you want, what would it be? As the famous saying reads – “a true way to make God laugh is to tell him about your plans”. If I could work on that project now, I would go where I was a month ago – the mountains of Nepal. - which animal would you like to be if you were an animal in your next life? - what dance would you dance if not tango? - Uprock! - favorite non-tango place in Moscow which you would show your friend (except your home)? - if you had a chance to bring time back what would you do differently in your life? If I changed something I would not be who I am. - Anything else you would like to say to the TangoDancers Blog’s readers? Be happy, dear everyone! Thank you! A few reviews and a reportage from Venice Film Festival. Interview with actors in French (link). Another interview with the director. Flashmob in Brussels :) (link). See below a tango scene with Mariano "Chicho" Frumboli. Copyright © 2017 - No texts or imagery can be copied or re-published without a written permission. Links to Amazon & other products express personal opinion of the website creator. If you would like to get your article or interview features on this website, please contact.